Emily Ley’s Simplified Planners are one of our most popular planners / agendas, and for good reason. 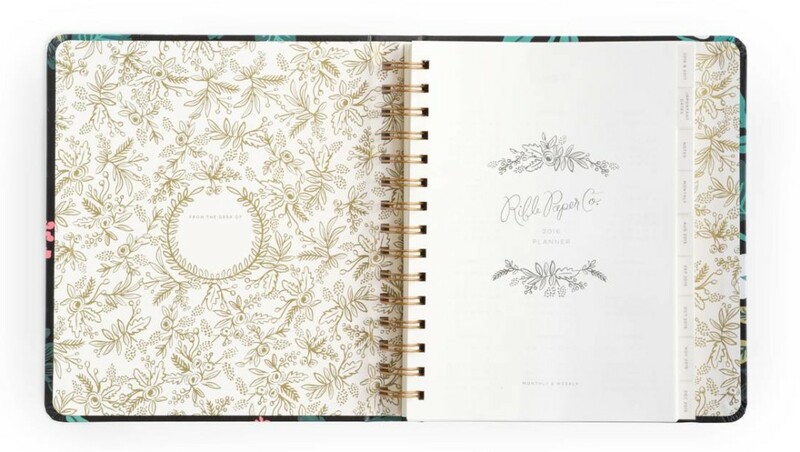 The quality and thickness of the paper inside and out is thick and beautiful with gold foil and color on most pages. 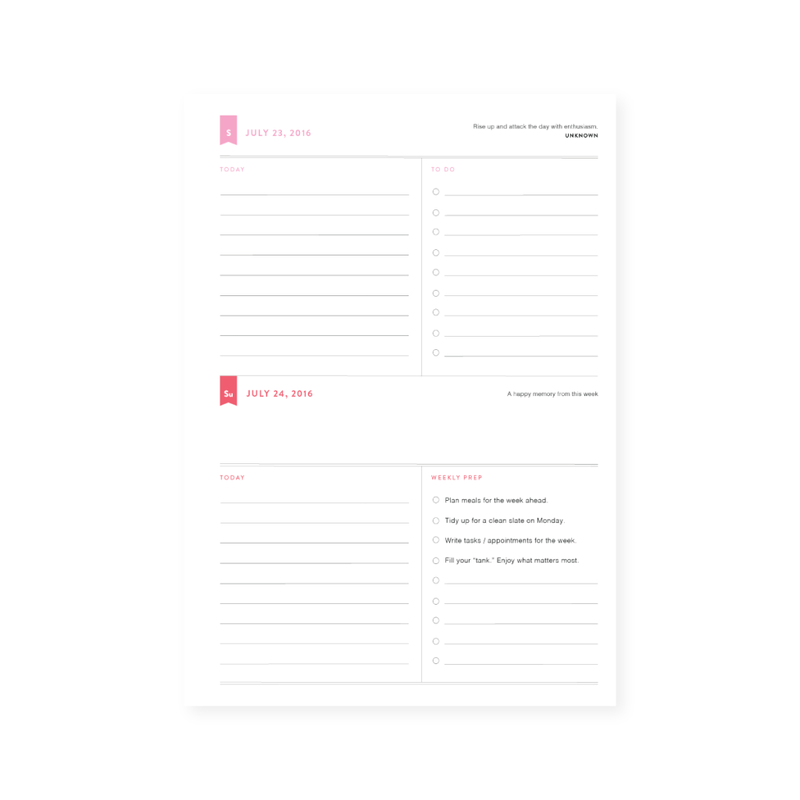 The design and layout of the inside is thoughtfully designed to help you view your day (or week if you choose the weekly version) in a simplified way. 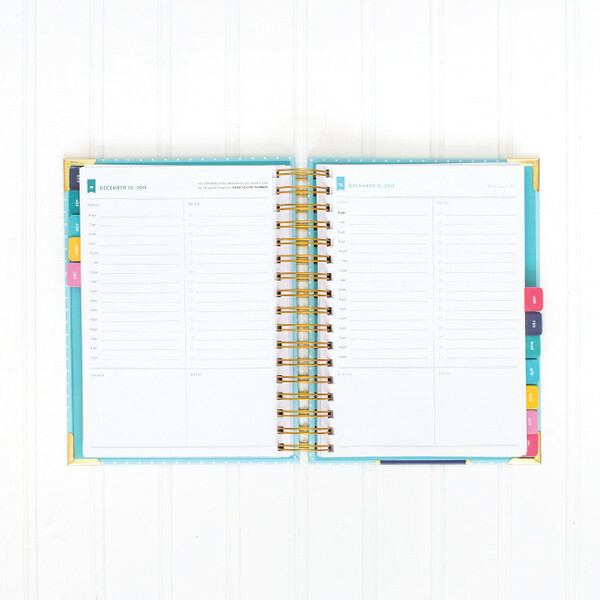 With this release of the Simplified Planner, there are 3 cover styles available in the DAILY version (January-December 2016): Pineapple, Happy Stripe, and Mint Dot. Due to popularity, the WEEKLY academic version (Aug. 2015-December 2016) will also be coming back in the Pineapple style only. 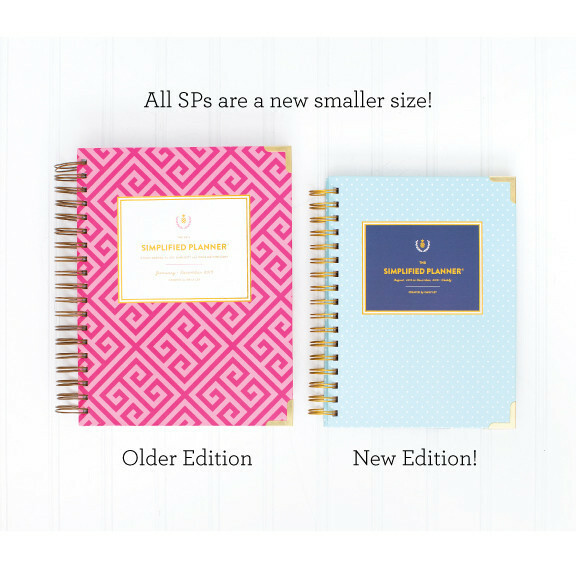 The 2016 Simplified Planners are also significantly smaller than prior versions (see comparison photo below), and comes in a keepsake navy blue box! 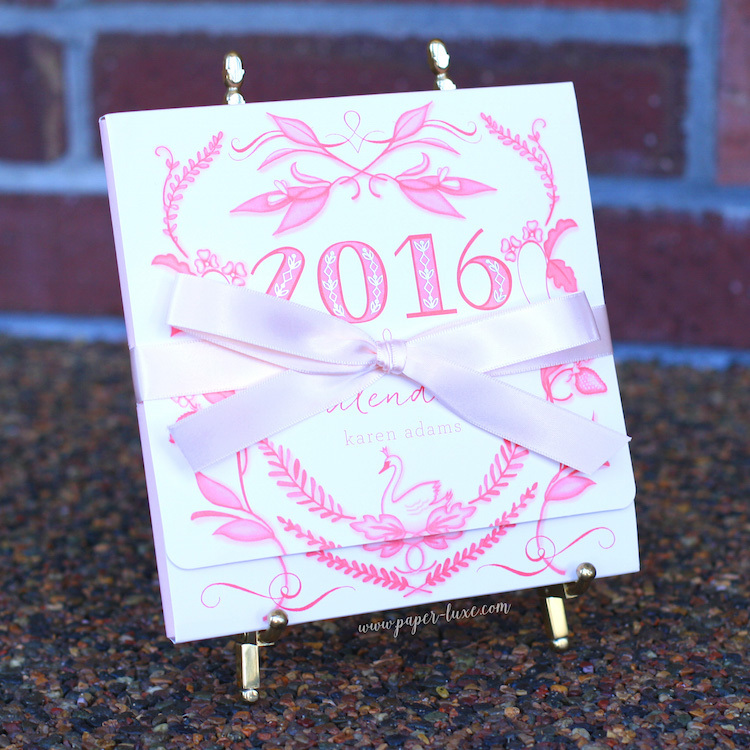 Karen Adams 2016 Calendars are Here! 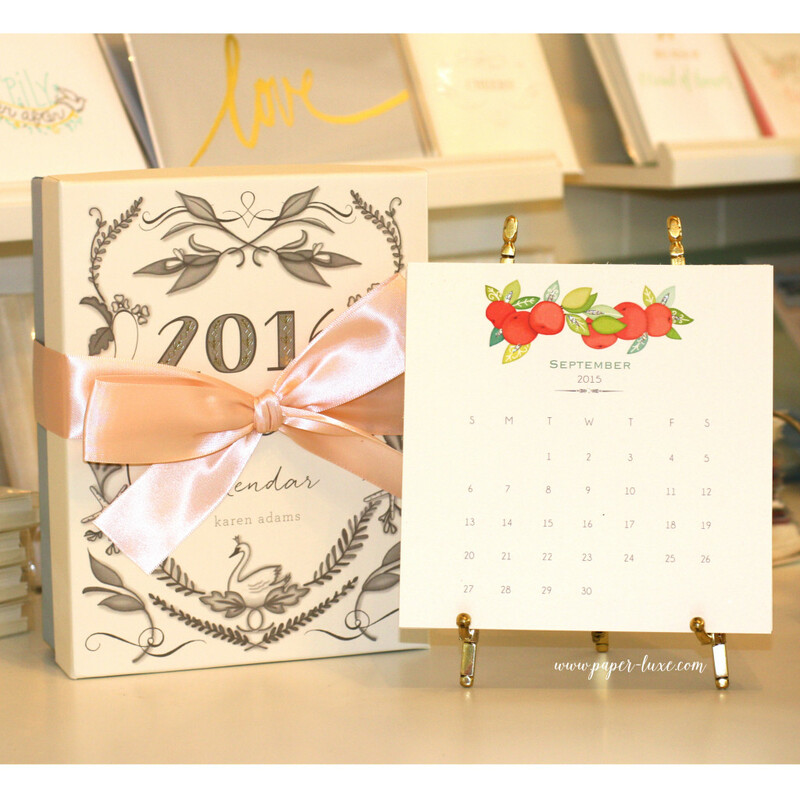 The 2016 Karen Adams desk calendar comes with a gold or silver (your choice) bamboo easel and is all wrapped up in a beautiful signature Gift Box tied with a satin ribbon. No additional wrapping necessary! BONUS! 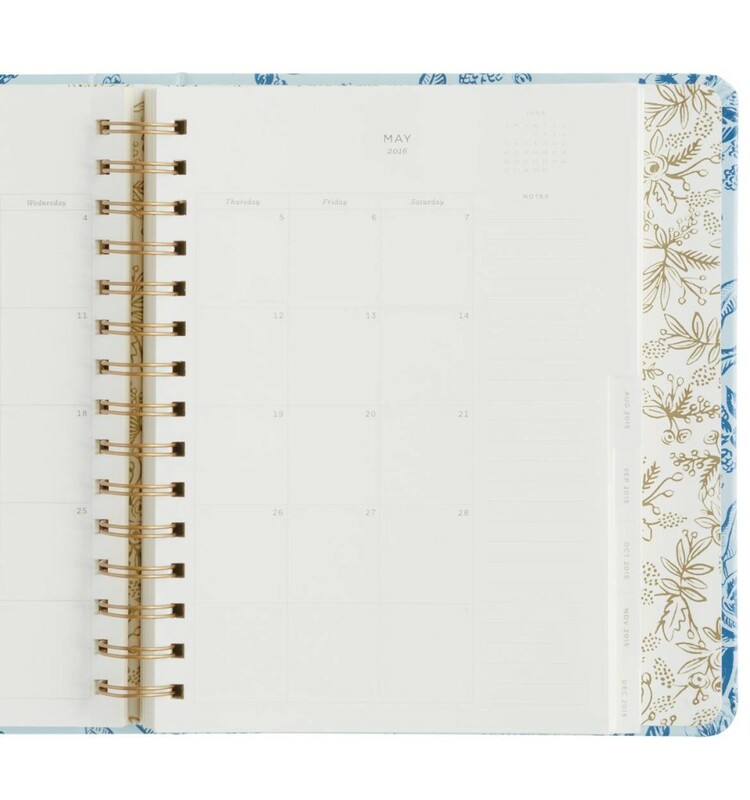 Buy now and your Karen Adams calendar will include 6 bonus months beginning July 2015 through December 2016. So you can start using it now!! 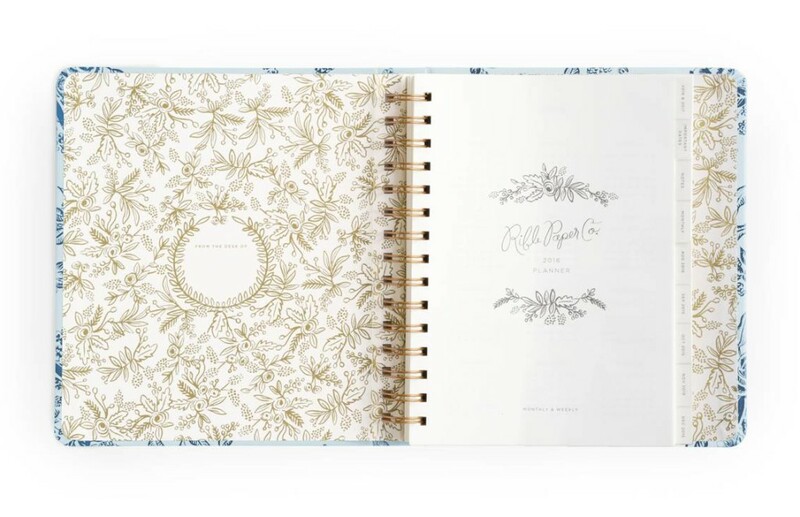 The Karen Adams 2016 calendar consists of 6″ square pages of heavy smooth natural white card stock with delightfully hand drawn illustrations by designer Karen Adams for each month enhanced with touches of hand-applied glitter. The easel is sturdy, elegant and stands 8″ tall. Together they make a stunning visual display. 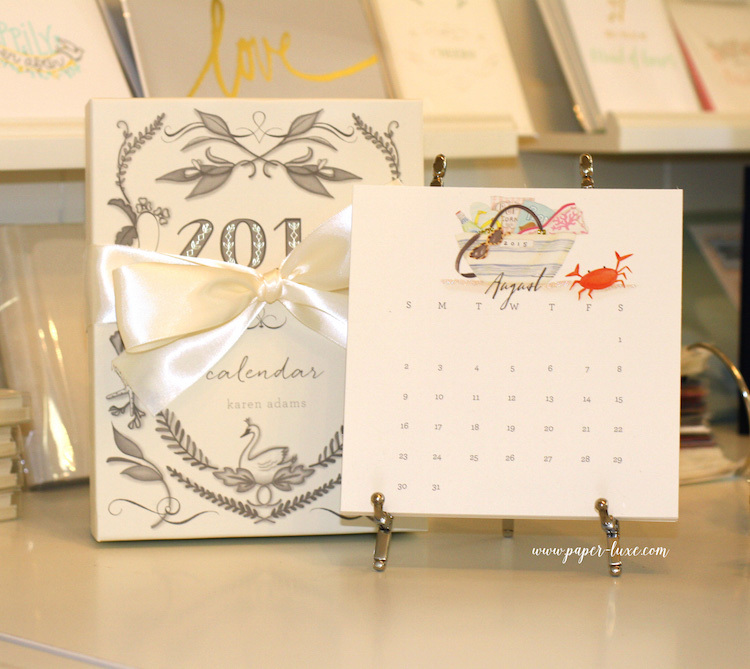 The Karen Adams calendar is a beautiful gift for any friend, hostess, secretary, boss, birthday or just for yourself. 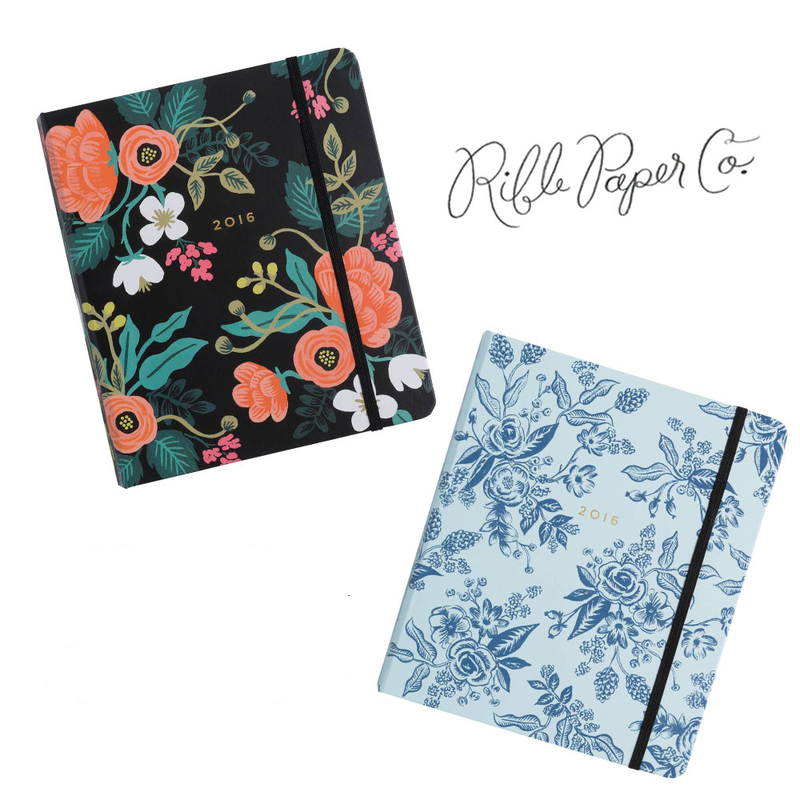 UPDATE: We now have these beautiful planners in stock and ready to ship! They are $30 for the medium size, $36 for the large size. $5 flat rate USPS Priority Mail shipping on all orders! They run from August 2015 to December 2016 and come in 2 sizes, large ($36) and medium ($30). 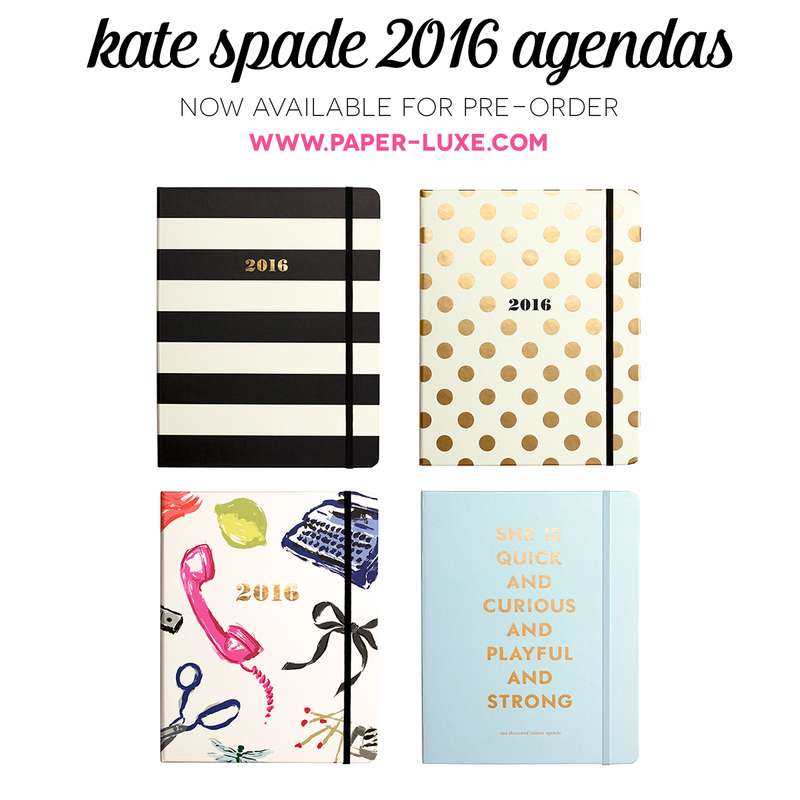 Click here to see all Kate Spade 2016 agendas. 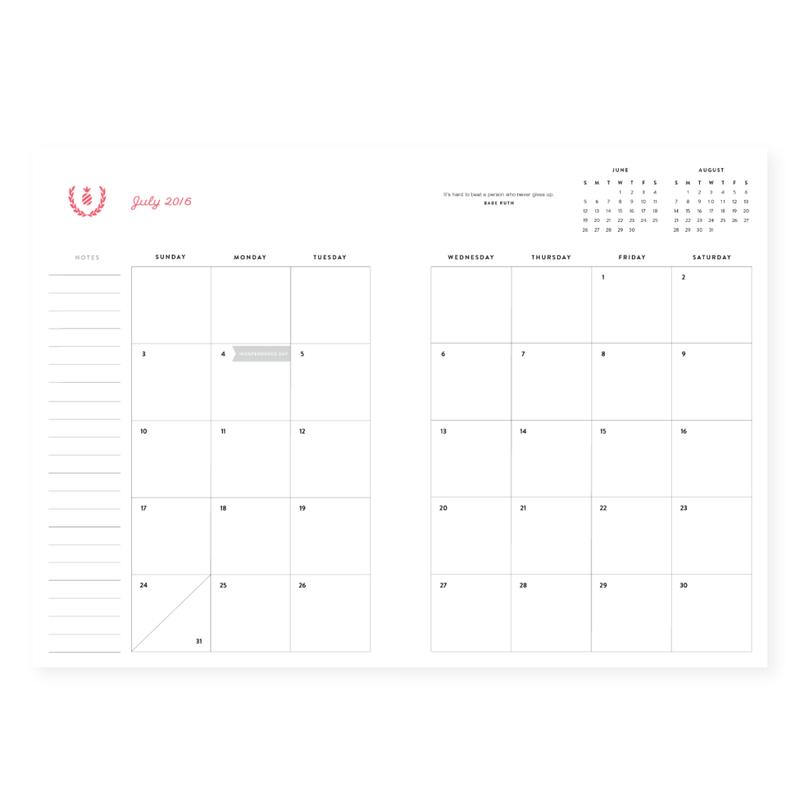 2015-2016 Emily Ley Simplified Planners – coming soon! 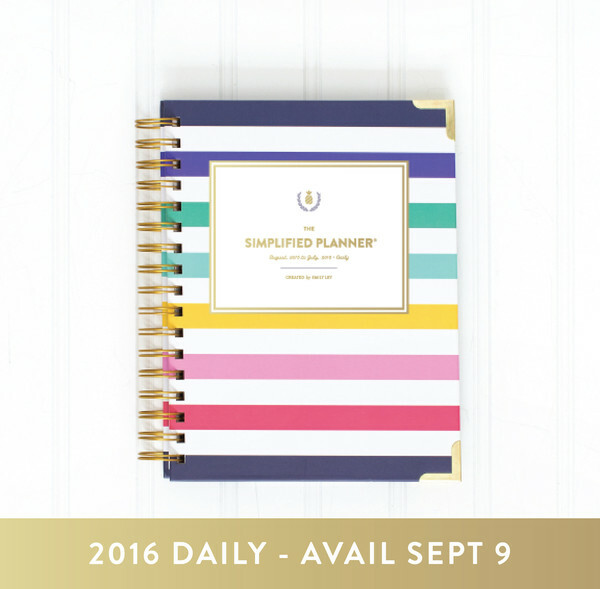 UPDATE: We have a TON of the Emily Ley 2016 Simplified Planners (that start in January 2016) headed our way in early September! 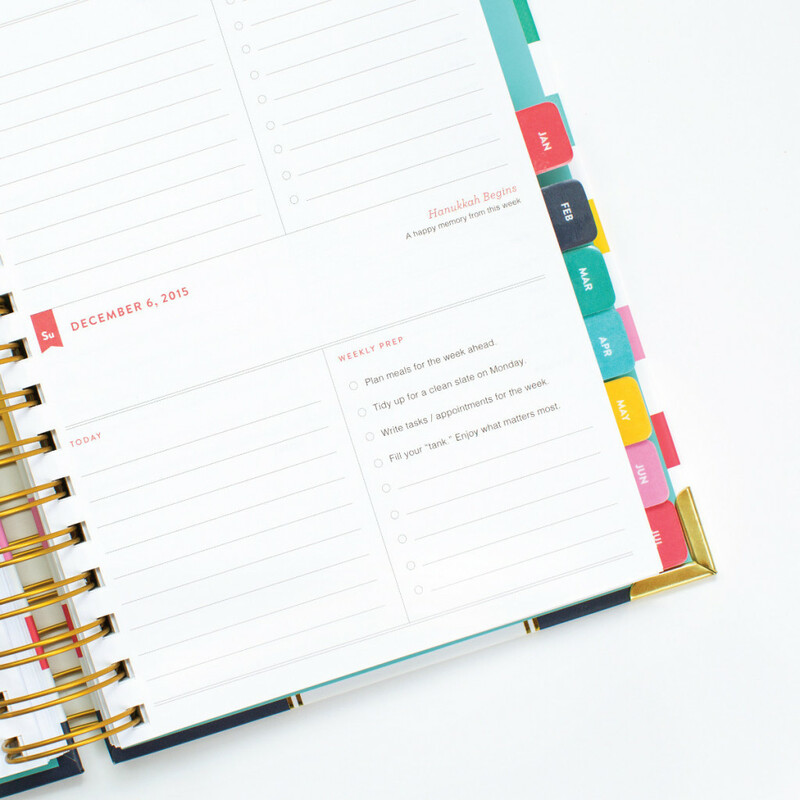 You won’t be able to pre-order online, but call our shop to be added to our wait list. We’ll have all styles available, as well as more baby books! 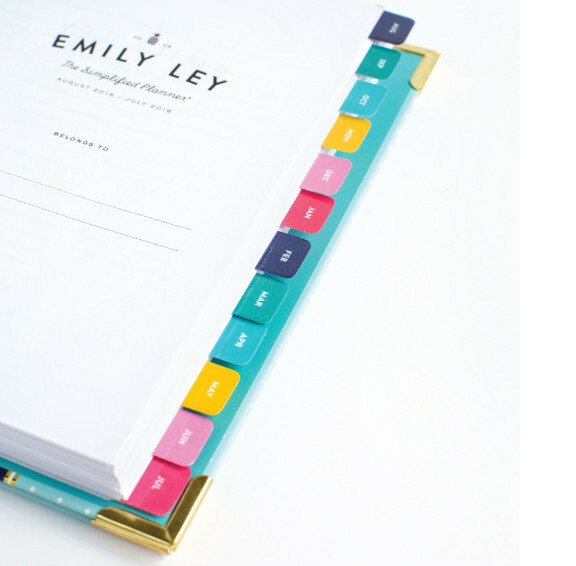 So Emily Ley’s baby books sold out within hours. CRAZY! We’re working on another order that I believe will come sometime in September. Be sure you’re on our newsletter list (signup over in the column to the right –>) to be kept in the know! Next up are the 2015-2016 Academic Planners from Emily. 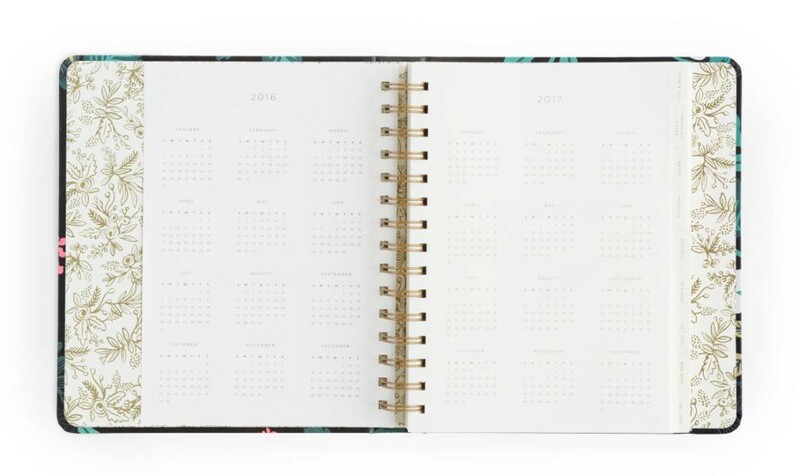 These are dated August 2015-December 2016 and come in two different types – Weekly and Daily – and in 3 different cover styles. 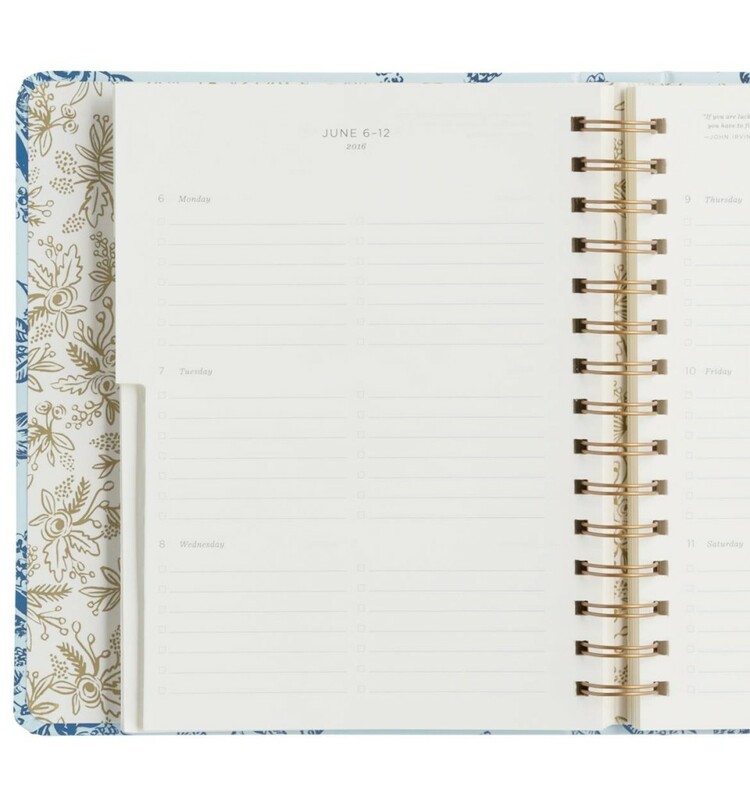 We are expecting our shipment in on Friday (so local folks, you’ll want to talk to me ASAP if you want one)! They’ll be available for sale online May 6th at 10am Eastern. 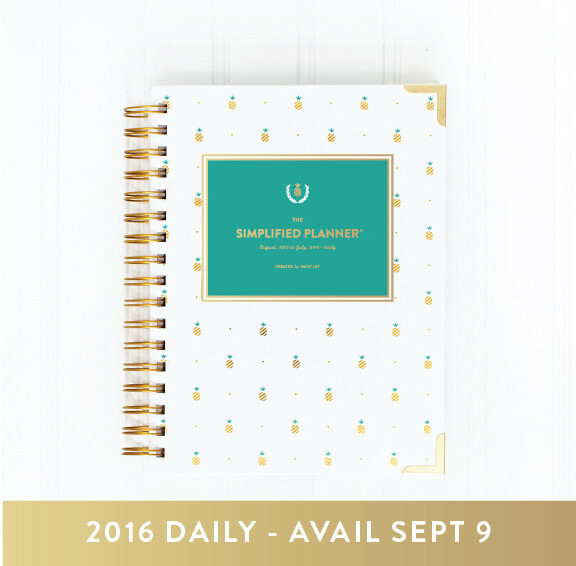 What’s new for this version of the Simplified Planner (that has been announced so far)? NEW! Color on every page! NEW! 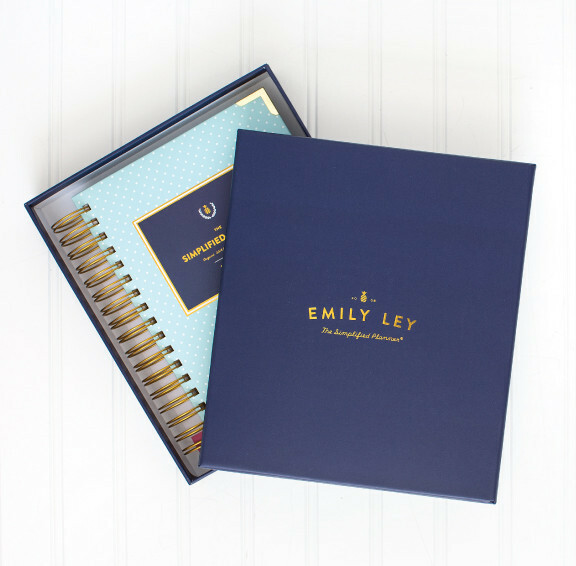 Each Simplified Planner comes in a navy + gold keepsake box! 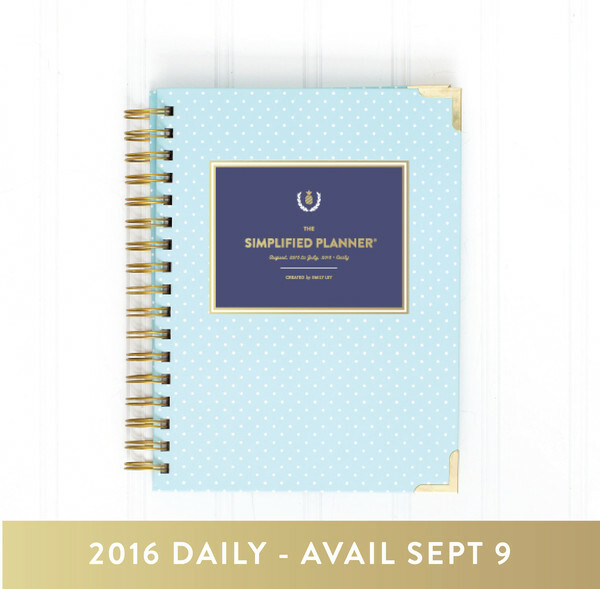 Have any questions about the Emily Ley Simplified Planner? 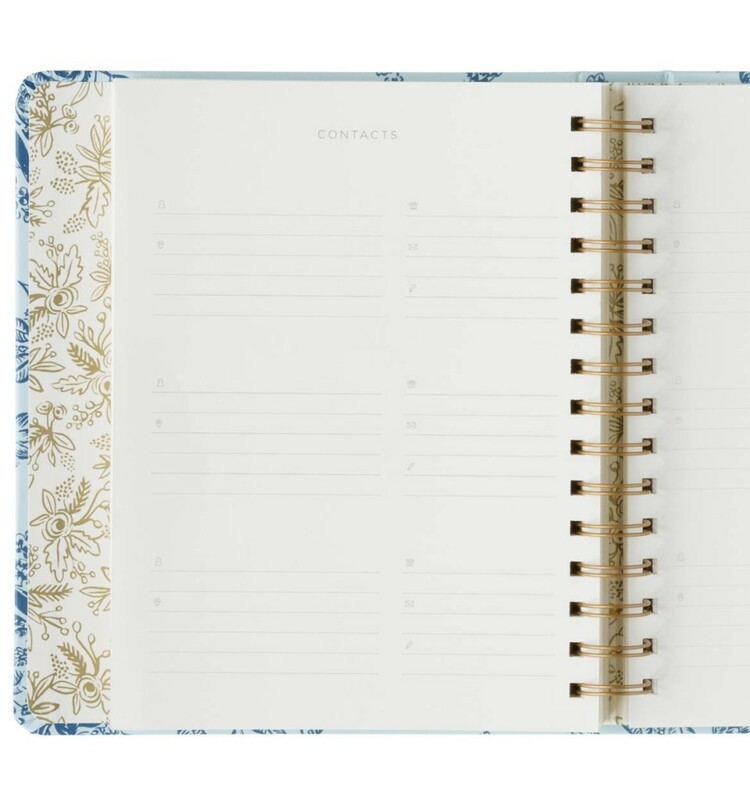 Just drop me a note at hello (at) paper-luxe (dot) com (or click here) and I’d be happy to chat! And last year when these went on sale on our website, some styles sold out the first DAY. So if you’re local to the Tacoma/Seattle/Kitsap area, let me know if you’d like me to reserve one for you to pickup! Otherwise, be sure to grab yours as close to May 6th as possible so you don’t miss out!